The New Communist Party of the Netherlands (NCPN) and the Communist Youth Movement (CJB) would like to congralute our sister party, the Turkish Communist Party (TKP), with their begotten results in the recent elections in Turkey. 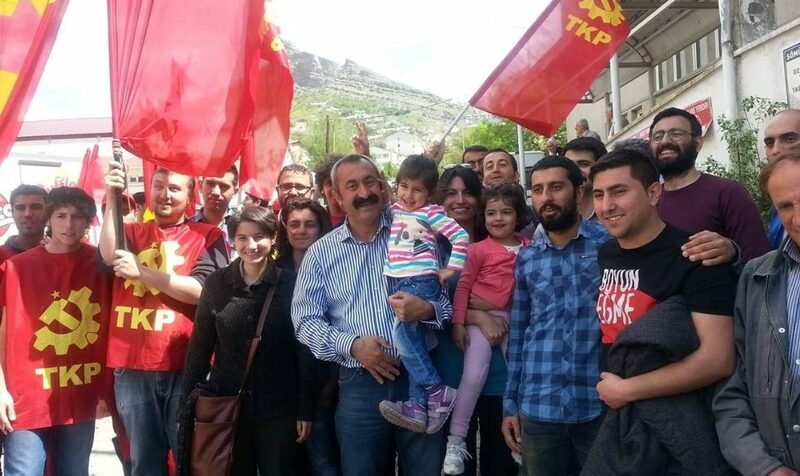 A historical victory in the region of Dersim by the candidate of the TKP, Fatih Mehmet Maçoğlu, is an inspiration not only for the working class in Turkey, but for the working class worldwide, and its vanguard, the communist parties. This victory shows us that despite the negative correlation of forces currently in the world, it is possible to succeed and make progress as a communist movement. Erdogan and his reactionary party AKP, who attempt to repress the workers and rob them of their vanguard, and the rotten capitalist system which they try to maintain, shall not maintain. We show our solidarity with our Turkish comrades of the TKP, and fight together for our common purpose: socialism-communism! PreviousUnity of all workers against racism and fascism!